As usual we have to come up with three different colors. 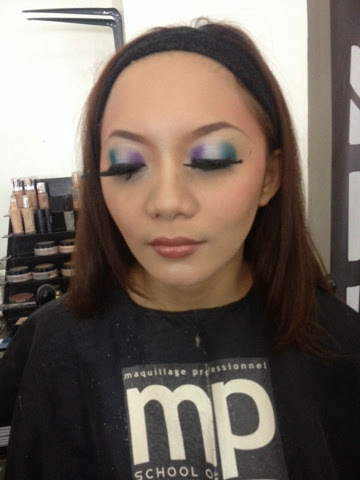 Ms.Yuki decided to put blue green,white,violet. Hmm. 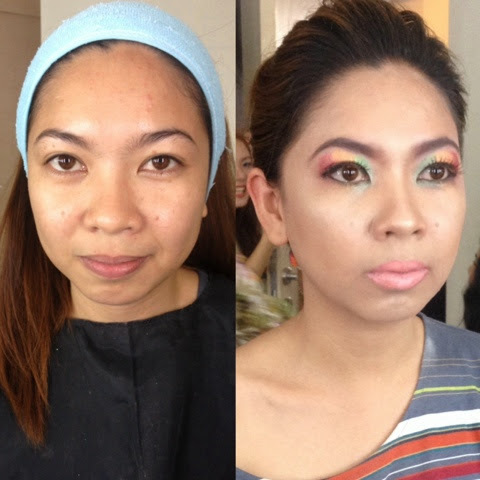 kala ko nung una mismatch pero the outcome looked really beautiful. Infairview parang make up sticker lang kinalabasan. collection and pinoportray ng model namen. Ang fierce ni ate oh!! 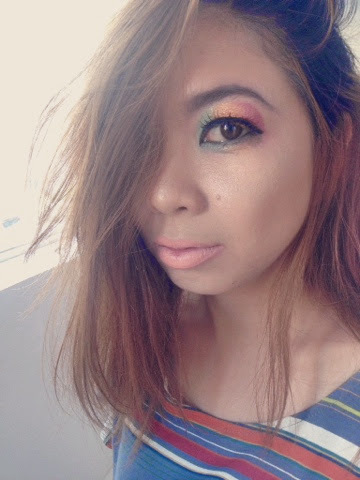 Walang tulak kabigin ang frend ko oh,parang walang bukas kung makapag cat look. 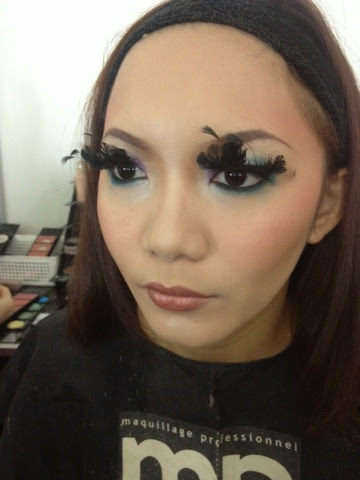 The shades I used on her are more of bright colors, pang rampa talaga. 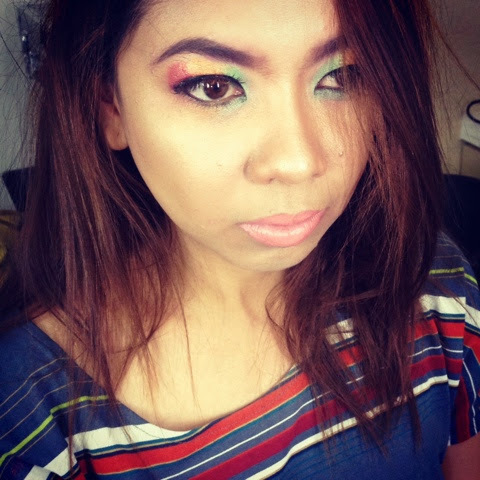 This entry was posted on Saturday, September 27, 2014 and is filed under love,makeup artistry,tricolor. You can follow any responses to this entry through the RSS 2.0. You can leave a response.